Ready to elevate your skiing? Snowboard in the backcountry? Learn mountain skills to carry with you through college and beyond? The Winter Only Option at RIDGE Mountain Academy is about skiing and snowboarding everyday while balancing all aspects of life. RIDGE trains beginner to elite student athletes to perform at their best in mountain sports while attending classes and building life skills. 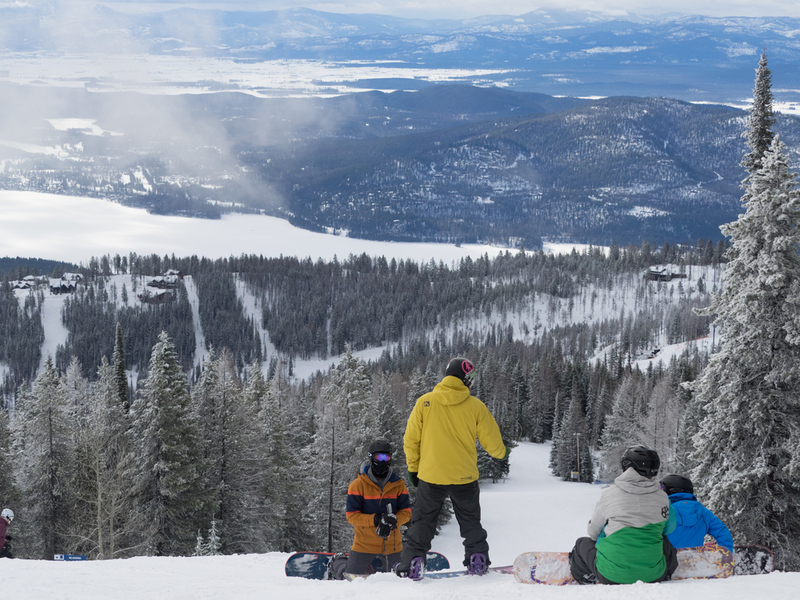 The Winter Only Option at RIDGE aims to combine the best aspects of a traditional ski academy, a snowboard academy, and an athletic GAP year program into 90 days. Individualized sports training plans are offered within a supportive team environment. Skiers, snowboarders, backcountry enthusiasts, and skimo racers work with RIDGE coaches to expand their athletic, academic, and life skills during the Winter. RIDGE is not a traditional ski academy. We take skiing and snowboarding in a progressive direction by coaching freeriding, backcountry touring, all-mountain skiing, and skimo racing. In 90 days at RIDGE, student athletes gain the skills, certifications, and experience that most big mountain skiers take years to develop. All students will grow their skills as skiers or snowboarders while also practicing many of the other sports at RIDGE. Learn more about the coaching at Ridge. At RIDGE, student-athletes receive coaching from a personal trainer to improve strength for the mountain. These workouts allow students to take their sports on the mountain to the next level. In addition, students participate in yoga weekly to improve core strength and flexibility. Winter Only Option students will participate in the RIDGE Core Curriculum. Students have the option to earn up to 9 college credits from the University of Montana for RIDGE's Core Curriculum. Weekly, students spend half of a day assisting disabled skiers and snowboarders enjoy riding on the mountain. The students are paired with trained volunteers to guide those with needs. Many of the disabled athletes are of similar age as the RIDGE students, so many develop a bond with those they are working with. RIDGE partners with Dream Adaptive for service learning. To learn more, visit Dream Adaptive. In the spring, students learn to build and maintain mountain bike trails on the Whitefish Trail System. Student athletes will have the opportunity to gain industry experience during internship days. They can choose to intern in business/marketing, photography, ski tech, or health/wellness. In each field, students will be guided by professionals to learn and gain experience. While at RIDGE, students are expected to eat and live healthy. For the Winter Only Option, RIDGE hires a health/wellness to aid the construction of a healthy diet for the athletes. Three meals a day, students have meals to nourish their bodies for peak performance on the mountain. To learn more about the health and wellness program at RIDGE, visit our Health and Wellness page. A downside of the Winter Only option is that students will not be able to participate in the Capstone Expedition, the pinnacle of the RIDGE experience.